Cavite doesn’t immediately spring to mind as a tourist destination. 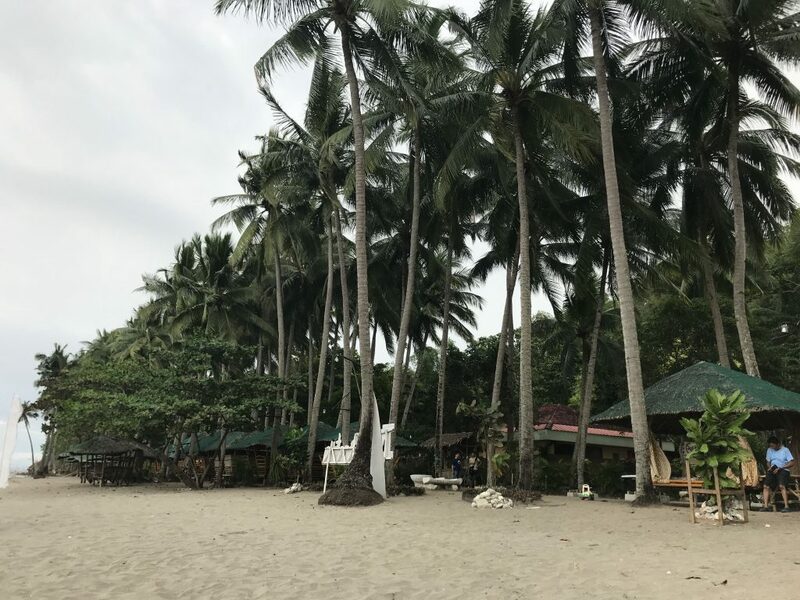 However, based on what we saw at Paniman Beach Resort, it made me realize that there might be a couple of hidden gems in the area. So I went ahead and did some additional research on Ternate Cavite beach resorts. 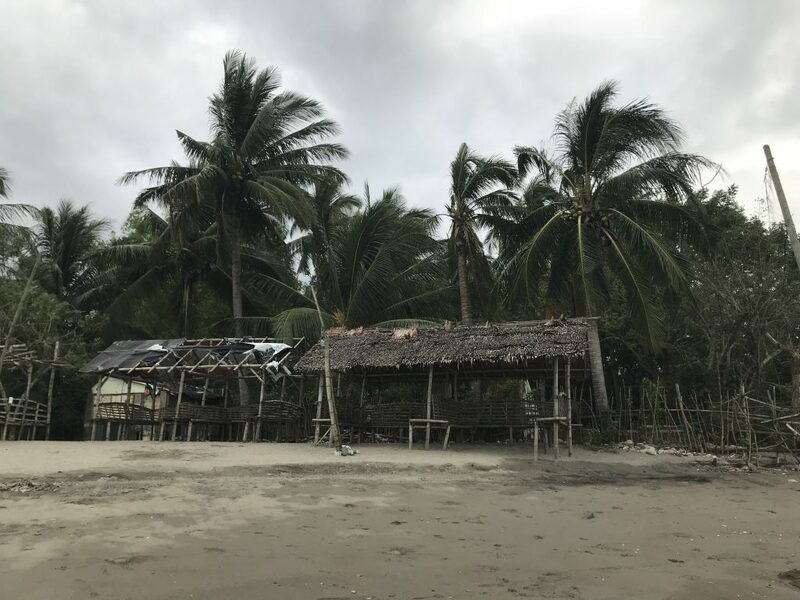 After speaking with a friend of my family from Cavite, we found out about a couple of other beach resorts a little further north of Puerto Azul (toward Manila). 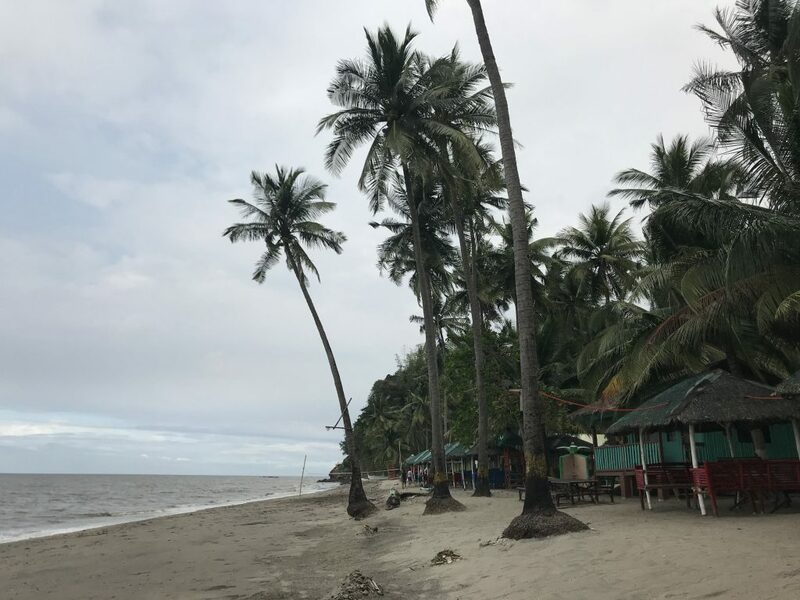 These Ternate Cavite beach resorts were Ternate Beach Resort, Dalaroy Beach Resort, and Bucana Beach Resort. All three of these resorts were within a few hundred metres of each other in Barangay Bucana. 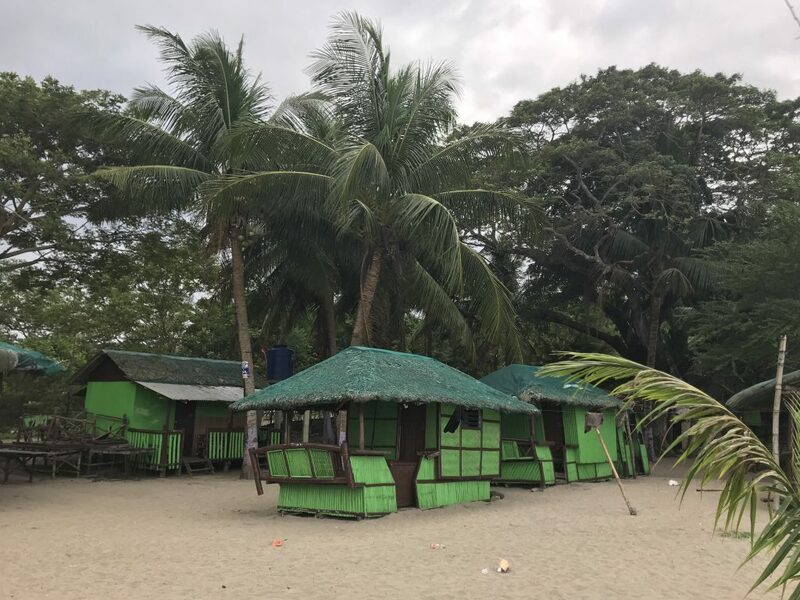 So on my next trip down to Maya Maya, I decided to take a turn off on the way back to Metro Manila and check out these three beach resorts. The first one that we went to was Ternate Beach Resort. I don’t think this was as nice as Paniman Beach Resort but it was still a pretty good standard considering that it was in Cavite, and it was on Manila Bay. Immediately next door to Ternate Beach Resort is Dalaroy Beach Resort. Dalaroy Beach Resort is not as nice as Ternate Beach Resort so I just had a quick look there and took a couple of photos. I didn’t really get a chance to look at the facilities. I’m pretty sure that it was a lesser standard than Ternate Beach Resort. Of these two beach resorts that are side by side, I would say that Ternate Beach Resort is the best one. As a matter of fact, you can check out my Vlog on YouTube where I showcase Ternate Beach Resort, and to a lesser extent, Dalaroy. There were better facilities at Ternate Beach Resort, although very basic. At least some staff were there and also other amenities. We actually had some family with us so we decided to hire a kubo (hut/cottage) for a couple of hours. The going rate is about P700 good for about 10-12 pax for half a day. That allowed me to do some further investigation of the area. The other beach resort in the area is Bucana Beach Resort. Unfortunately, you can’t walk along the beach to get there as there are some rocks that make it impassable. Due to time constraints, we decided to drive. It is only a couple of minutes to drive but it would probably be a 10-15 minute walk. This beach resort is similar to Dalaroy. It is a lot more basic than Ternate Beach Resort and is more like a BYO type setup. The actual quality of the beach and the sand among all three resorts was surprisingly quite good. It wasn’t covered in clumps of seaweed or shattered coral and shells, so they were all fairly clean. However, if I was to pick one of those three, Ternate Beach Resort wins hands down. 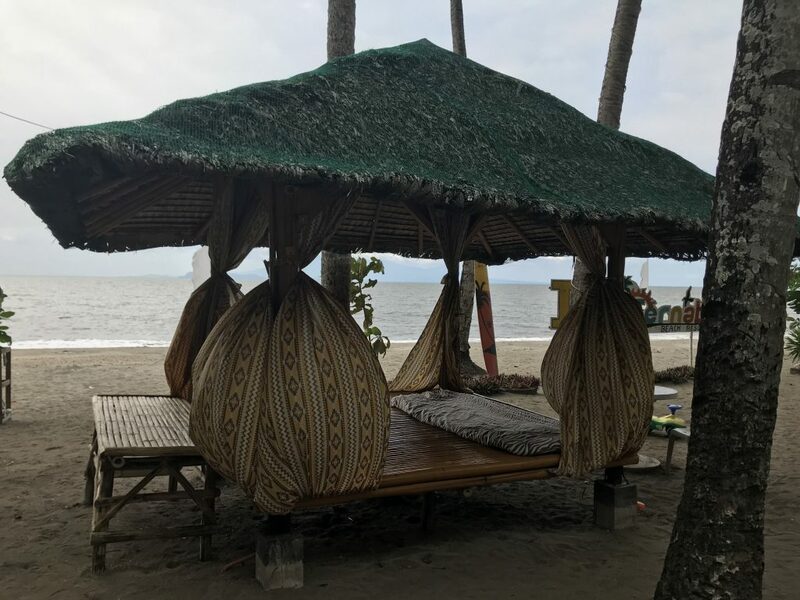 If you fancy a day trip from Manila and don’t want to spend hours in the car, then there is nothing wrong with this part of Cavite Province. I would certainly be going back there for a day trip. They did have a few kayaks and other equipment around the place. This means there is the opportunity to get out on the water if you choose. As you can see, the weather wasn’t great when I visited. However, this is actually quite a nice beach and is fairly well kept. This section of the beach has some nice rock formations and at the time I was there, there was nobody around. This is Ternate Beach Resort looking up towards Dalaroy Beach Resort which was literally right next door. This resort is more than acceptable for at least a day trip from Manila. A nice view from one of the many kubos that line the beach at Ternate Beach Resort. It was fairly clean and tidy and is somewhere you could easily spend a day there. This is Bucana Beach Resort which is about half a kilometre from the other two resorts. This wasn’t quite as nice as the other two. These are the cottages that are available along the beach in which you can have a BBQ or picnic for the day. This is very much a local style set up. By car, the most direct and often best way is via the Cavitex and Coastal road if coming from Manila (Makati etc). There is actually plenty of roadside signage so it isn’t too hard to find, especially with Waze and Google maps. Use Ternate Beach Resort as the landmark. Depending on the time of day, which influences the traffic, it should take no more than two hours. From Manila, you need to take the Saulog bus bound for Saulog Terminal in Ternate Cavite. You can find more info here. From there, you will need to take a jeepney or tricycle to any one of the three resorts in Bucana. These resorts are only about 2.5kms from the terminal so you could even walk there in half an hour if your feeling adventurous, but a jeepney or tricycle will get you there in about 10-15 mins for less than P100. 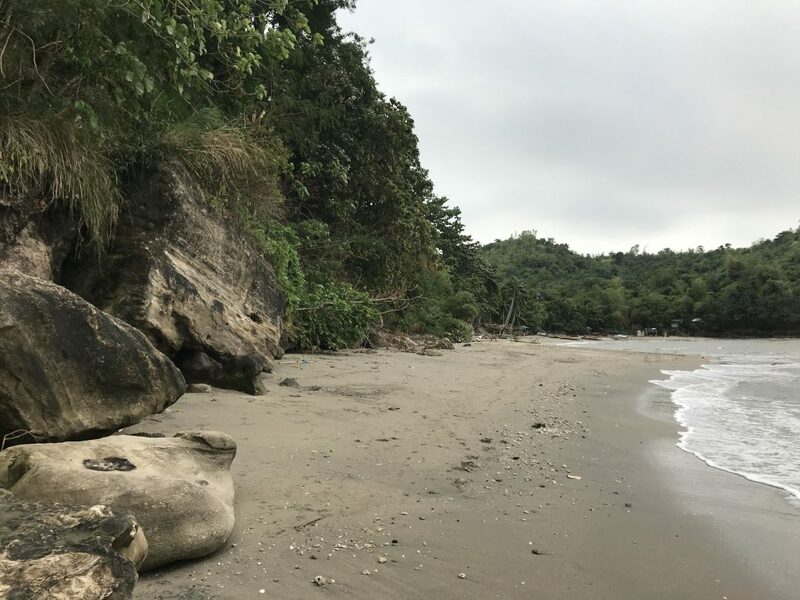 This area is only about 55 kilometers from Manila so it is great for a day trip if you’re looking to get out of Manila. The three resorts mentioned do have cottages and huts available for rent for half day or full day good for 10-12 pax. It’s best to make it a BYO arrangement and Ternate Beach Resort prohibit alcohol, but there is a way around that if you send me a message via the contact us page.